The Pleasant Valley Road Improvements Project encompasses Pleasant Valley Road between 0.21 miles east of Early Road and 0.19 miles west of Greendale Road and includes the replacement of the existing bridge structure over Blacks Run. The new bridge will include a 3-lane roadway, bicycle lanes, and sidewalk. During construction, a small section of Pleasant Valley Road will be closed to through traffic. The detour routes will be Early Road and Pleasants Drive. The existing two lane bridge structure goes over Blacks Run and the new bridge will include a two lane roadway, bicycle lanes, and a sidewalk. 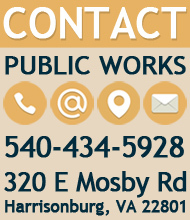 The City of Harrisonburg held a Design Public Hearing to inform the public about the Pleasant Valley Road Improvements Project on Thursday, October 15, 2015. Interested citizens previewed the preliminary project plans, detour plans, environmental documents and project information. 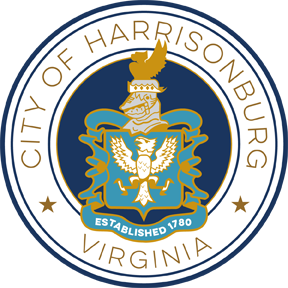 The City of Harrisonburg ensures nondiscrimination in all programs and activities in accordance with Title VI of the Civil Rights Act of 1964. If you need more information or special assistance for persons with disabilities, or limited English proficiency, contact Mr. Thomas Hartman, PE at 540-434-5928. Efforts will be made to provide adaptions or accommodations, provided that notification at least 5 days prior to the meeting is received. Questions? Contact Mr. Tom Hartman, PE, Assistant Director of Public Works, at Tom.Hartman@HarrisonburgVA.gov or 540-434-5928.